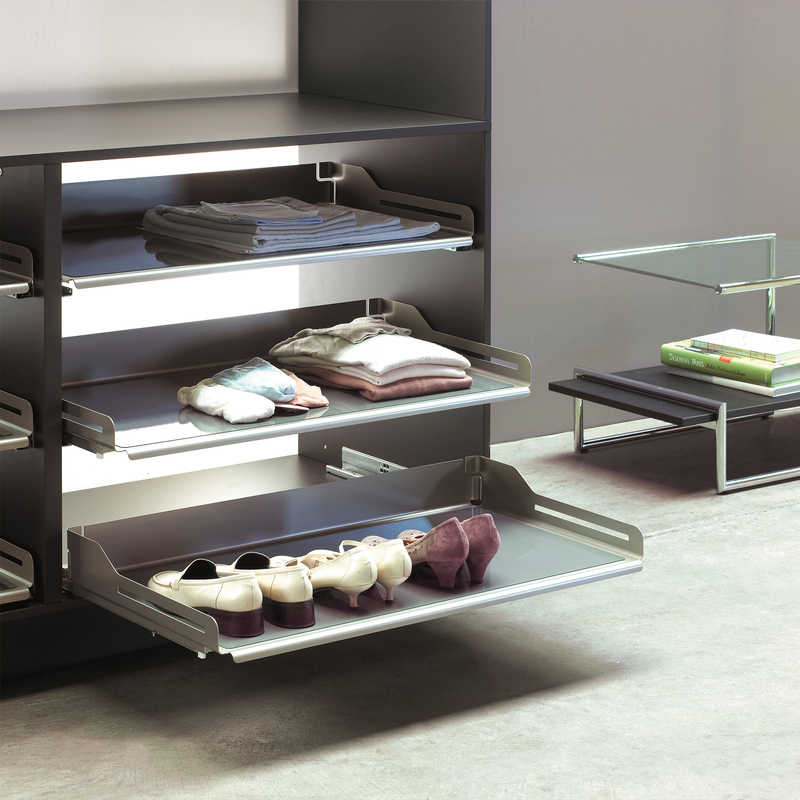 • Soft Down Cabinet System - Creates access to spaces that are inconveniently high throughout the home. This organizer brings up to 35 lbs. 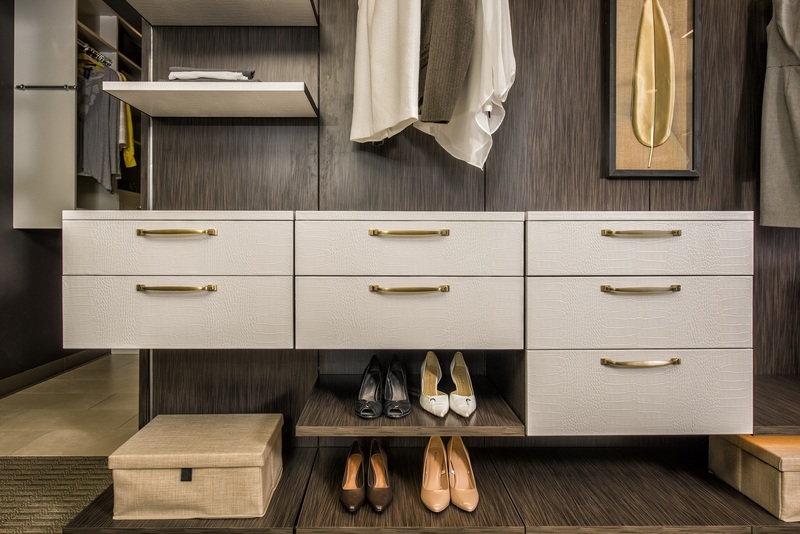 of storage to a more manageable height, without the need for a stepladder, and then returns it to its original position in the cabinet, closet or other storage space with a single touch. • Revolving Shoe System - A truly smart shoe system, with a revolving shelf that pulls out and rotates 360 degrees for easy access. 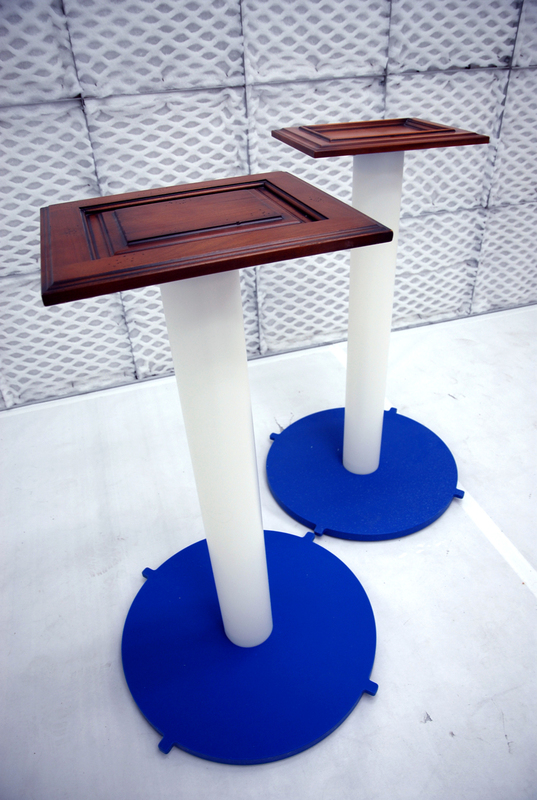 Available in two heights, it can fit up to 56 pairs of shoes, and can be customized for heels and boots. 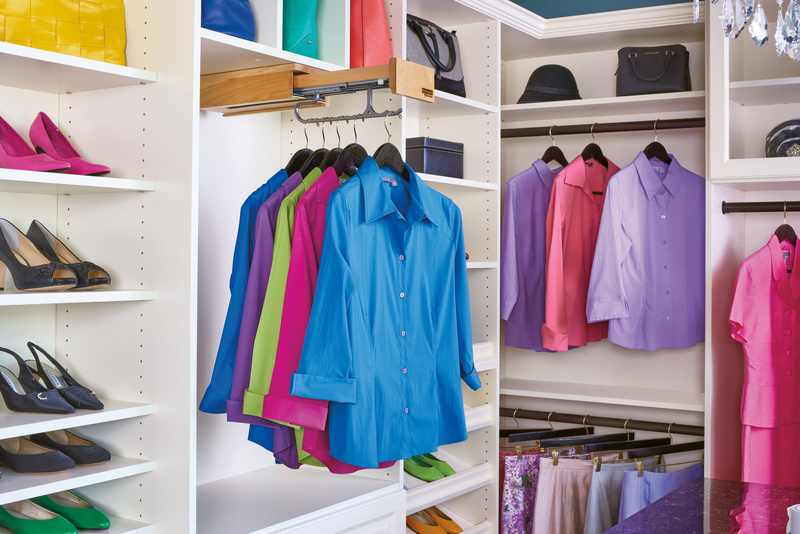 Salt and moisture resistant shelves help keep shoes clean and dry for storage. 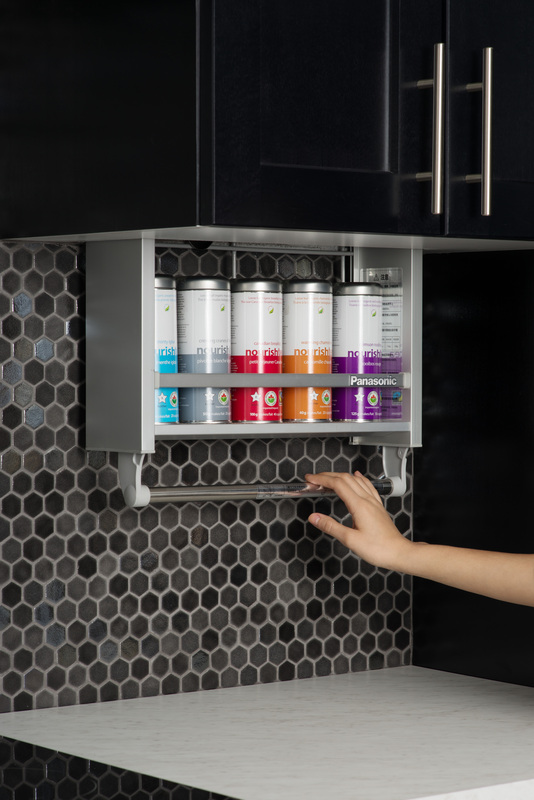 • Pull Down Cabinet System - Gives optimal purpose to the back of the cabinet: this pull-down system provides easy access to smaller objects by pulling them down to a reachable height. 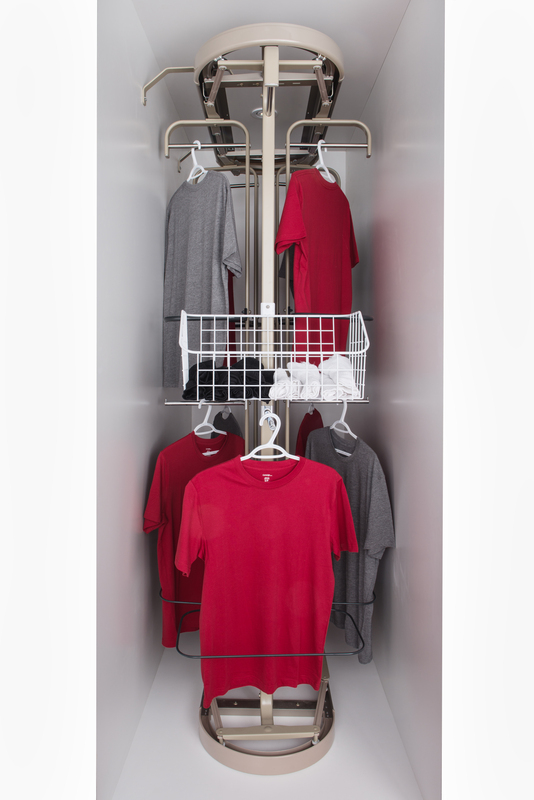 • Clothes Drying System Wall Mount - No more massive drying rack. This wall-mounted system offers up to 6 feet and 17 lbs. of drying rod that discreetly stores away when not in use. 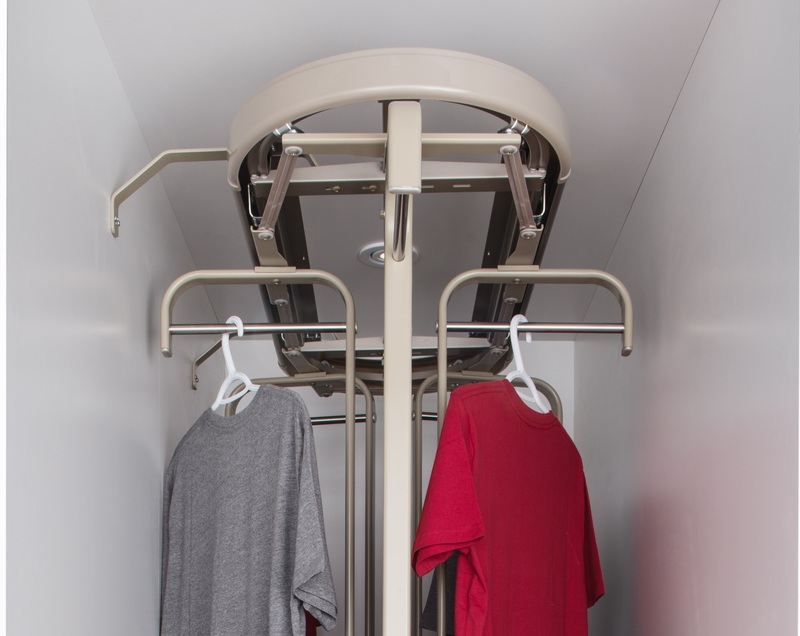 • Revolving Closet System - Optimizes the smallest space to make clothing easy to reach and find, and maximizes space efficiency by allowing different design opportunities for closet space. 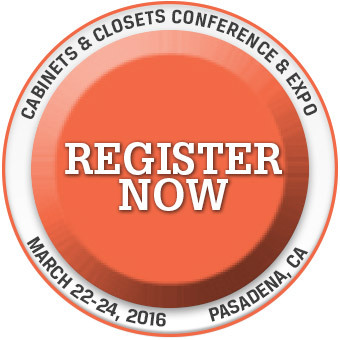 Fits closet interior widths of 5 ft. and 8 ft., the latter providing the equivalent of a 16 ft. clothing rod. 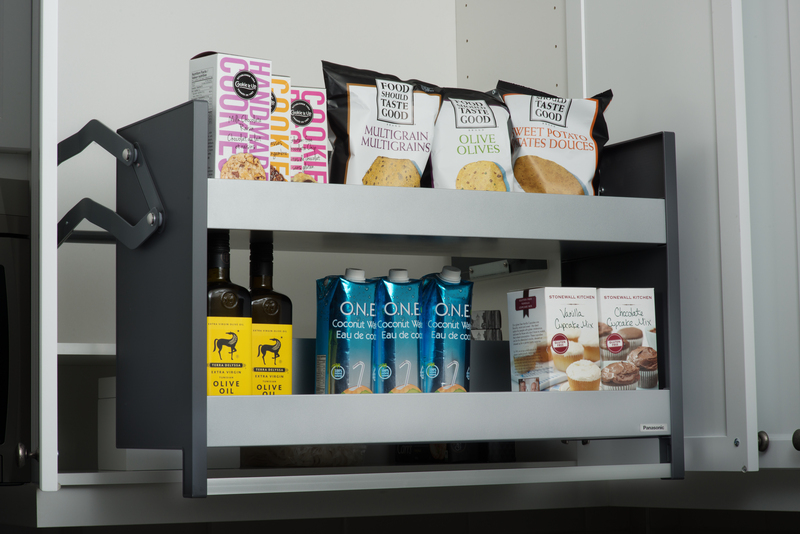 • Combination Shelf System - This space-saving 3-in-1 under-cabinet storage system holds frequently used items and can be easily put away when not in use. Store spices and such on the top shelf; use the bottom shelf as extra prep space while cooking, and the handle as a convenient spot for hanging utensils or towels. Panasonic says this product line has been life-cycle tested for over 30,000 openings, and all carry a Limited Lifetime warranty. The new Panasonic products complement of Richelieu’s Smart Living assortment of products that include: multi-purpose furniture, foldaway doors, lighting solutions for every nook and cranny, unique pullout systems for pantries, drawers and kitchen islands, as well as other innovative solutions for household storage and recycling needs. Richelieu, which has operated in North America for over 45 years, serves more than 70,000 clients with nearly 100,000 products, and is at the forefront of design, style and innovation for 21st century lifestyles.